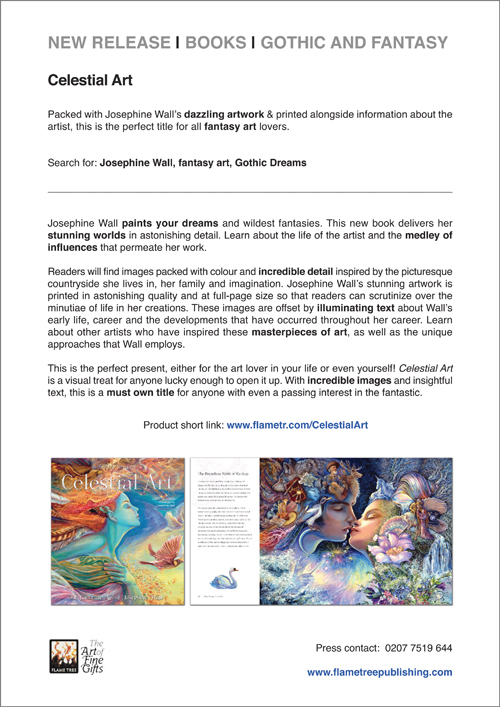 Packed with Josephine Wall’s dazzling artwork & printed alongside information about the artist, this is the perfect title for all fantasy art lovers. 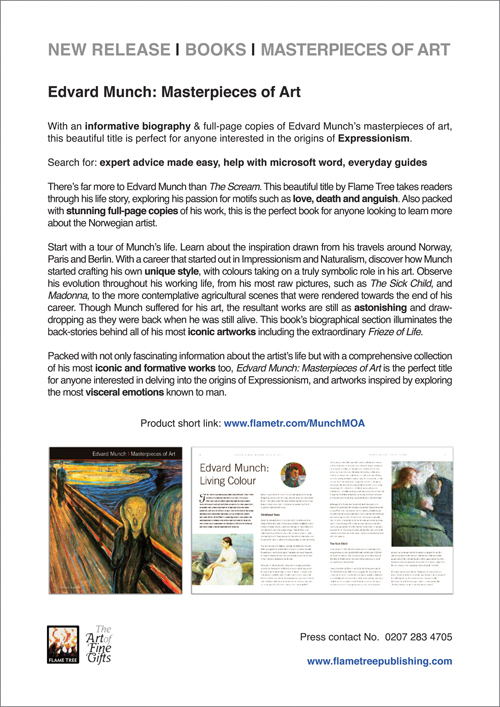 With an informative biography & full-page copies of Edvard Munch’s masterpieces of art, this beautiful title is perfect for anyone interested in the origins of Expressionism. 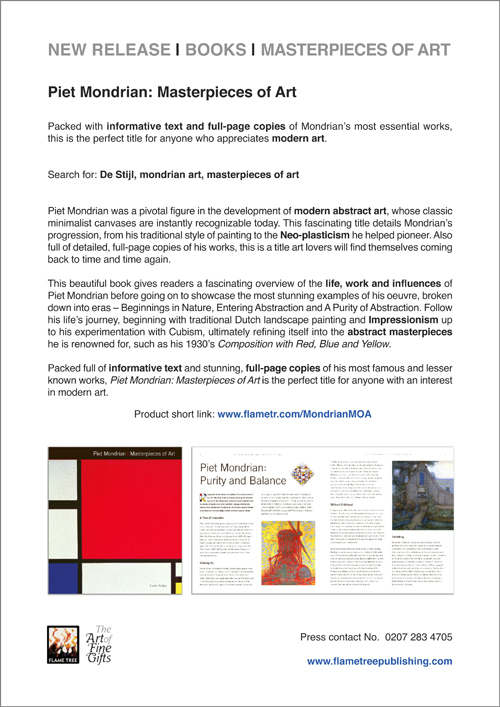 Packed with informative text and full-page copies of Mondrian’s most essential works, this is the perfect title for anyone who appreciates modern art. 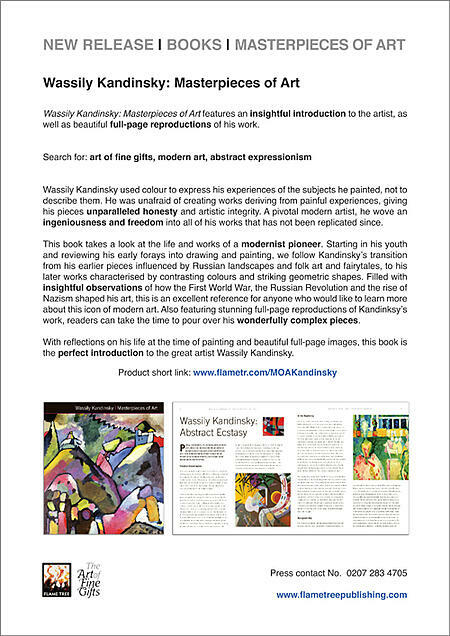 Wassily Kandinsky: Masterpieces of Art features an insightful introduction to the artist, as well as beautiful full-page reproductions of his work.